Pitch Circle Diameter (PCD) is also known as Reference Circle. The Module describes the size of a gear. A pair of gears can mesh correctly only if Module of both gears are same. 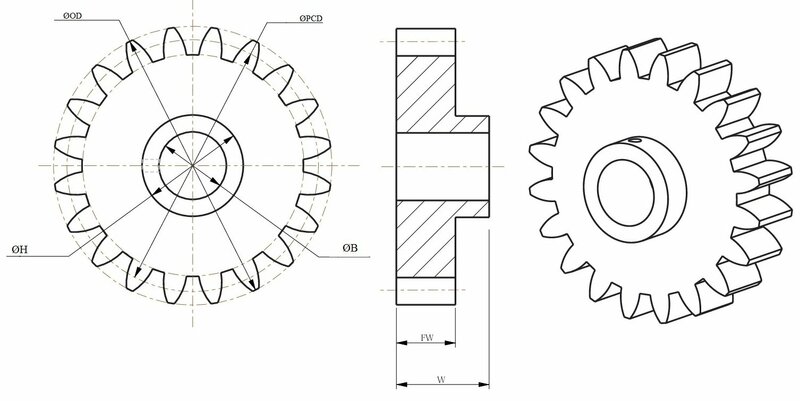 So select the gear with the same Module (M) to be mesh together with the Different number of teeth according to your Gear ratio requirement. Decide the Number of teeth according to your speed Reduction or Increment requirements. 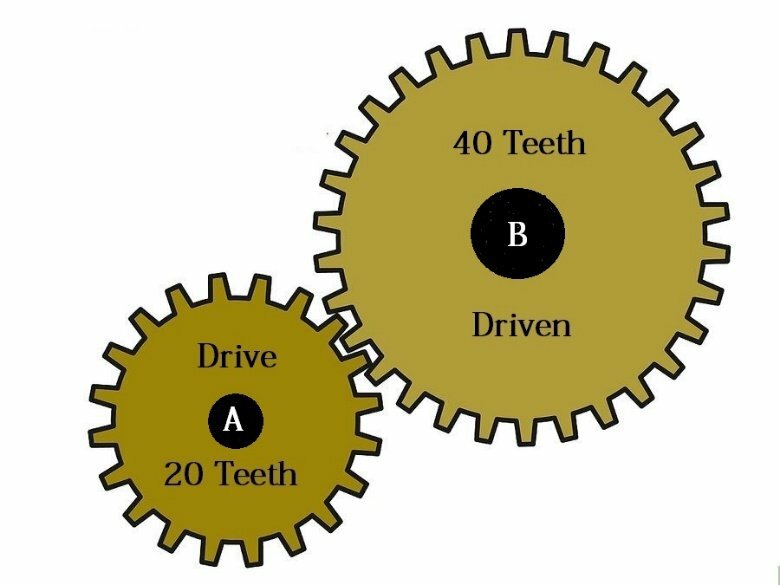 Here in Above Example, Because gear “A” has 20 teeth and “B” has 40 teeth, “B” will travel through ONE complete Turns/Rotation for TWO complete Turn/Rotation of Drive gear “A”, this would give a ratio of 2:1. as we considered A as Drive Gear. 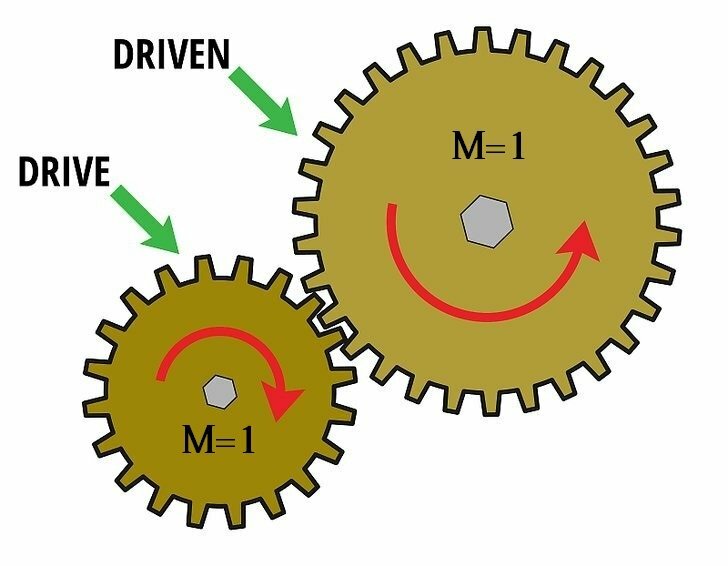 If we consider the things in another way and reverse the setup and gears as “A” as a driven gear and “B” as a drive gear then the ratio would become 1:2, i.e. rotational speed will be doubled at “A”. Likewise, Various teeth ratio decides the speed reduction/Increment of Driven Gear. PCD is also important to be considered while selecting Gears because it decides the distance between Drive and Driven Shaft. 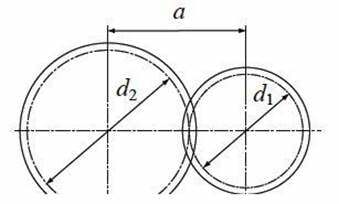 A pair of gears should mesh in such a way that their reference circles which are also known as PCD are in contact, the centre distance (a) is half the sum total of their reference diameters. So, “a” will be the distance between two Shafts on which Drive or Driven Gears to be mounted. Short Intro Of IoT ? And some basic Knowledge You need To know…. 1) IoT? What is that? We question a lot. We are the ones who challenge the status quo of existing rules and strive to build/produce something better. Such curiosity & efforts have promised us a life where electronic devices & machines will probably become our best friend. Yes, you read it correctly the vision to make machines smart enough to reduce human labor to almost nil. 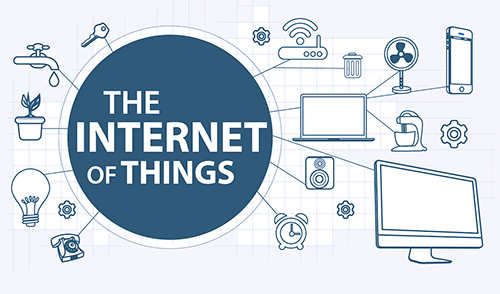 The idea of inter-connected devices where the devices are smart enough to share information with us, to cloud-based applications and to each other (device to device). Kevin Ashton, the co-founder of the Auto-ID Center at MIT, first mentioned the internet of things in a presentation he made to Procter & Gamble (P&G) in 1999. Wanting to bring radio frequency ID (RFID) to the attention of P&G’s senior management, Ashton called his presentation “Internet of Things” to incorporate the cool new trend of 1999: the internet. MIT professor Neil Gershenfeld’s book, When Things Start to Think, also appearing in 1999, didn’t use the exact term but provided a clear vision of where IoT was headed. How many IoT Device Products In 2020? We are pleased to announce that we are now an official Raspberry Pi Authorized Reseller! This recognition comes from the Pi Foundation for all the work we have done over the last 3 years promotion the Raspberry Pi. Thanks to the Pi Foundation for making us reseller in India. The Raspberry Pi is a series of small single-board computers developed in the United Kingdom by the Raspberry Pi Foundation to promote teaching of basic computer science in schools and in developing countries. In March 2018, sales reached 19 million. Making it best-selling “general purpose computer”. Please download the “ROBOCON 2019 FAQ’s” from the link provided and follow the points mentioned it carefully when contacting us for your requests/queries/issues. 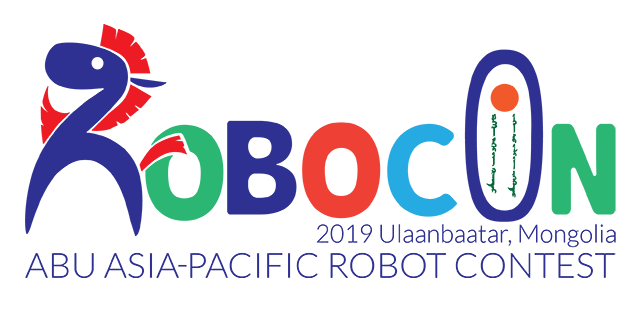 Abu Robocon 2019 Mongolia Theme “GREAT URTUU” and rulebook launched. 2 Robots to be built, 1 wheeled manual robot another autonomous quadruped. Explore the Product Category created for ROBOCON 2019. Today while making a project, Controllers like Arduino and their sensors have made life easy for us on the electronics side. They are really easy to use and easily available. But when it comes to mechanical products, it’s not the same. One of the big problems for users in the areas of hobby, education, Engineering and research is unavailability of good mechanical components for making a project. They are really hard to find and even harder to manufacture because of the need for machinery. EasyMech is a brand of Robu.in which intends to make the life of users easy; by providing easy to use mechanical products. This series will include thoughtfully designed mechanical products like brackets, couplings, chassis, Wheels, arms and grippers and many more. If you find any mechanical product which should be part of this mission to make things easy, just let us know at info@robu.in and we will make it for you. 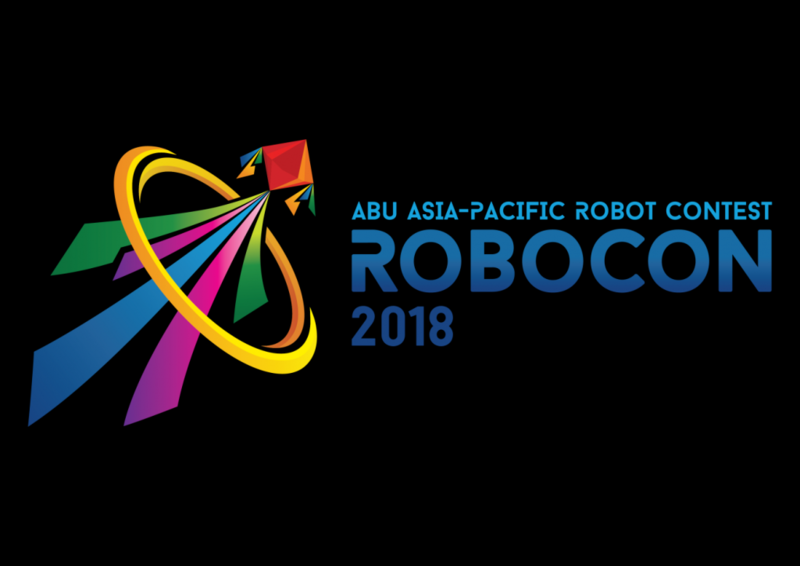 ABU Robcon 2018 will be held in Vietnam. Two (2) teams play various game activities in the park with their Parent robot and Child robot. The Parent robot has to carry Child robot up-to the play zone and the Child robot plays game activity. Each team plays three (3) game activities such as Seesaw, Pole walk and Swing. “SHABAASH” (appreciation) and is declared “The Winner”. participant has a duty of developing robot safely. Every participant in the Robocon project who builds robot must observe the related laws, regulations and ‘Safety and Health Guidelines’ defined by the participant’s university or equivalent regulations. Participants must develop, build and practice robot safely under the supervision and instruction of the university instructor. On the contest day, sufficient safety should be considered to the staff and the audience in the venue. Due to robot operator’s operation mistake or by a reckless run of a control system or fracture of parts, the robot could stop, accelerate and turn suddenly causing the operator to collide with the robot’s sharp parts (cut surface of the structure) or come into contact and be caught in the movable parts (such as gears) and crush the ambient environment. Therefore, in addition to following examples, please take necessary safety measures. 1.4.1. As structural measures, securing front view, covering sharp parts or attaching cover to movable parts, should be considered. 1.4.2. As personal protective measures, wearing helmet protective glasses, gloves and clothing which is not easily caught in the robot, etc., should be considered. 1.4.3. As operational measures, placing emergency staff who can carry out emergency stop in addition to the operator, avoiding practice alone so that members can immediately respond to an accident, implementation of various checks, re-examination of practice environment, keeping the workplace clean and etc., should be considered. 1.5. Due to design mistake or reconstruction of the robot, overcurrent to a circuit, short circuit of the battery by a shock or a fire could cause a major accident. In addition to the following examples, please take necessary safetymeasures. 1.6.1. As structural measures, re-examination of fuse, wiring of suitable thickness, attachment position and isolation from combustibles etc., should be considered. 1.6.2. As operational measures, prohibiting disapproval reconstruction and using suitable battery charger etc., should be considered. 1.7.1. In addition to above, various dangerous events could be triggered by the unique feature of each robot. Please take effective safety measures according to the characteristics of an individual robot. 1.7.2. To ensure safety, when using a laser beam, it must be less than a Class 2 laser, and used in a way that will not harm any operators, the referees, match officials, audience, opponent’s equipment and the game field. Two (2) teams play variousgame activities in the park with their Parent robot and Child robot. The Parent robot has to carry Child robot up-to the play zone and the Child robot plays game activity. Each team plays three (3) game activities such as Seesaw, Pole walk and Swing. If no team is able to perform abovementioned winning task, the winner will be decided as per the stated rules. 3.1. The field consists of an area having the dimension of 12000 mm x 12000 mm surrounded by a wooden fence with a height of 50 mm and a thickness of 30mm. 3.2. The competing teams are Red and Blue teams. The game field has two (2) Parent zones [one (1) Red and one (1) Blue]and five (5) Child zones (game activity zones). A child robot plays game activities in the Child zones. The first game activity for both teams (Red and Blue) is identical and at separate location in the respective zones. For remaining activities each Child zone is divided into two (2) halves by 30 mm wide non shiny white tape. Every team is supposed to play in their own Child zone area. 3.3. The game field also consists of one (1) Blue and one (1) Red start zone for each team. The area of each start zone is 1000 mm x 1000 mm. 3.5. Jungle gym child zone is placed at the centre of the game field. 4.1. Each team comprises of four (4) members consisting of three (3) students and one (1) instructor, all from the same university, polytechnic or college. Only three (3) students are permitted to enter the game field. 4.2. Team members must be enrolled in their University /Polytechnic/College at the time of the international contest. Exceptions to this rule are those who were enrolled in a University/Polytechnic /College at the time of the domestic contest. 4.3. Postgraduate students are not eligible to participate in the competition. Each team must design and construct by itself one (1) Parent robot (manually operated) and one (1) Child robot (autonomously controlled)to compete in the contest. 5.1.1. The Parent robot should be operated through a cable connected to it. Wireless radio control is not permitted. Operators are not permitted to ride on their robot. 5.1.2. When operating via cable, the point where the cable is connected to the robots must be at least 900 mm above the ground. The length of the cable from the Parent robot to the control box should at least be 1000 mm or more but should not exceed 2000 mm. the size of a cube of 1500mm during the game. 5.1.6. A portion of a Parent robot can enter the air space of its own Child zone but cannot touch its floor. 5.1.7. Robots of a team are not permitted to touch any of the opponent’s robots. 5.1.8. Parent robot cannot split or separate into two (2) or more units. 5.2.1. A child robot will neither have wheels nor tracks for locomotion. It can have arms and legs. 5.2.2. A child robot is not permitted to touch the floor area of the Start zone and Parent zone. 5.2.3. Child robot must operate autonomously. 5.2.4. After placing the Child robot in the Child zone, the Parent robot starts the Child robot through a single action. 5.2.5. Once the Child robot starts, no team member is permitted to touch the robots except in the case of “retry”. 5.2.6. The child robot’s size and form may undergo a change during the game, but it should fit into a cube of 500 mm at all times. 5.2.7. Child robot cannot split or separate into two (2) or more units. 5.3.1. For Parent and Child robot, any number of “retry” is permitted. 5.3.2. During a “retry”, a Child robot has to take a “retry” by loading itself on the Parent robot in the Parent zone. 5.3.3. After the Child Robot asked for a retry and it is granted, the Child Robot must restart on the Parent Robot. The point of restart is where the Child Robot asked for a retry. 5.3.4. Strategies based on “retry” are not permitted. 5.3.5. On a “retry”, no parts of the robot should be replaced; power sources of the robots should not be recharged. One cannot add a power source also. 5.4.1. Each team shall prepare its own power supply for its robots. 5.4.2. Voltage of the power supply for robots shall not exceed 24 V DC on load. 5.4.3. A power supply that is considered dangerous or unsuitable by the contest committee shall not be permitted. 5.4.4. The pressure of the compressed air power (if any) must be less than 6 bars. Parent and Child robots including their power sources, cables, remote controller and other parts of each robot shall be weighed prior to the competition. The total allowable weight of all robots and above accessories for each team to be used throughout the contest must not exceed 40 Kg. The total weight of 40 Kg does not include spare batteries and components with same specifications. Size and weight of each robot will be measured before the competition. Robots that are not made in conformity with this rulebook will not be allowed to participate in the contest. 6.1.1. Each match shall last for a maximum of three (3) minutes. 6.1.2. Both the teams have to play Seesaw as their first game activity during the match. The team which completes Seesaw can attempt either Swing or Pole walk as per their choice. However, completing the Swing and Pole walk is must for a team to be eligible to attempt Jungle gym. 6.1.3. The team which completes the fourth game (Jungle gym) first, accomplishes “SHABAASH” and will be declared a winner and the match ends there itself. 6.1.4.3. Team completing two (2) different games in minimum time with the first activity being See saw. 6.1.4.5. If there is a tie after that also, the Judges and Referees decide the winner. A parent robot holding a Child robot starts from the Start zone and reaches to its own Seesaw child zone and completes the activity as follows. 6.2.1.1. Parent robot makes the Child robot sit on the Seesaw seat leaving the Child robot untouched. 6.2.1.2. Child robot should sit on the seat of Seesaw. Child robot is permitted to touch the seat and the handle next to the seat, in order to remain seated on Seesaw. 6.2.1.3. Parent robot should move to opposite side and without sitting on the Seesaw it has to play with Child robot and complete three (3) continuous laps. 6.2.1.4. Parent robot reloads the Child robot upon itself. 6.2.1.5. Completion of a lap’ means that: Seesaw seat of Child robot and seat opposite to that should touch the floor one after the other for each lap. 6.2.1.6. The counting of lap starts, once the seat at Parent robot side touches the Seesaw child zone for the first time after successful placement of Child robot. 6.2.1.7. During the laps the Child robot should not touch the floor area of Seesaw child zone. 6.2.2. After completing the Seesaw activity, a team is eligible to play either Pole walk or Swing. 6.2.3.1. The Parent robot places the Child robot on its own colour disc and leaves the Child robot untouched. 6.2.3.2. Child robot should remain on the disc of its own colour. 6.2.3.3. 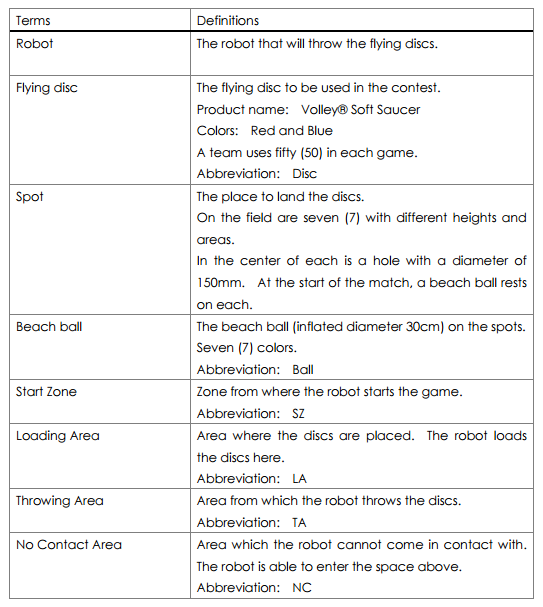 Child robot is allowed to touch the disc and portion of the pole above the disc while performing the act of disc walk. 6.2.3.4. The Child robot has to walk (travel) on discs and complete the path from disc to disc without skipping any one of its own colour discs and also without touching the floor area of Pole walk child zone. 6.2.3.5. Parent robot reloads the Child robot upon itself. 6.2.4.1. Parent robot places Child robot on its own colour seat of swing and leaves the Child robot untouched. 6.2.4.2. Child robot is permitted to touch the seat of swing and side chains. 6.2.4.3. Parent robot can initiate swinging for the first lap without touching the Child robot. Next two (2) laps should be performed by the Child robot by itself. However Parent robot can assist Child robot to stop the swinging. 6.2.4.4. Parent robot reloads the Child robot upon itself. 6.2.4.5. Completion of lap’ means that: Any part of the Child robot has to touch the flag kept next to the Swing in order to complete one (1) lap and complete such three (3) continuous laps. 6.2.4.6. No part of the Child robot is allowed to touch the floor area of Swing child zone during the laps. 6.2.6.1. Parent robot keeps Child robot on or near the first step of ladder and Parent robot leaves the Child robot untouched. 6.2.6.2. The Child robot climbs the ladder without touching side rails and places itself completely on the top platform of Jungle gym. 6.2.6.4. In order to achieve “SHABAASH” the flag should be raised above the topmost point of the Child robot. 6.2.6.5. After successfully completing the Jungle gym by a team first, it accomplishes “SHABAASH” and is declared as winner and the match ends there itself. 6.3.1. Only after successfully completing all the tasks of any game; the game will be considered as “complete” and teams earn points specified for that game. 6.3.2. To earn additional points, Seesaw maybe attempted for maximum three (3) times (of three (3) laps each). To earn additional points Pole walk and Swing maybe attempted for maximum two (2) times. 6.3.3. On a “retry” for Seesaw and Swing, counting of lap will restart from the first count. Prior lap(s) in this case will not be counted. 6.3.4.4. Completion of the fourth game (Jungle gym) makes the team accomplish “SHABAASH”. No point for this game and the match ends there itself. Once a game begins, the following actions will be regarded as violations and two (2) points will be deducted for each occurrence. 7.2. A violation occurs when a Parent robot or a team member touches the floor area of Child zone except in the case of “retry”. 7.3. A violation occurs when Parent robot operator enters the air space of the Child zone except in the case of “retry”. 7.4. A violation occurs when Parent and/or Child robot of any team enters into an opponent’s zone or air space above it. 7.5. A violation occurs when Child robot touches the floor area of Start zones, and Parent zone. 7.7. A violation occurs when a team performs prohibited act as stated in rulebook and FAQs. The following behaviours shall be considered as “disqualifications of the team” by the Judges and Referees for a particular match. The team will cease to continue with game and the score for that match for that team will not be recorded. 8.1. Causing or attempting to damage the game field, the equipment on the field or the opponent’s robots. 8.2. Members of a team touching their own robots intentionally during the game. accident it should be removed immediately as per Referee’s instructions. (The referee is empowered to determine whether it is an accident or not) Retry may be allowed after that. 8.5. Performing any act against the spirit of fair play and friendship between participating teams. 8.6. Persistently using the cable to guide or pull the Parent robot. 8.7. The team that does not follow the instruction or warning of the Referee. 8.8. Use of communication (such as IR, RF, LASER etc.) between the robots. 9.1. For any other behaviour not specified in the rules, referees are given full authority to make a decision and their decision is final in the event of a dispute. 9.2. Any amendments to these rules will be announced by the Contest committee and be updated on website <www.roboconindia.com> under FAQ. 9.3. All teams are encouraged to decorate the robots to reflect the culture, aesthetics and styles of their respective countries. 9.4. All robots must be designed and made by student teams. Readymade commercial robots will be disqualified from being used. Teams are not allowed to have sponsor’s logo anywhere on the robots or on the uniform. 9.5. When requested by the contest committee, each participating country will be asked to provide information on their robots, including the video, which explains the structure and the movement of the participating team’s robots. 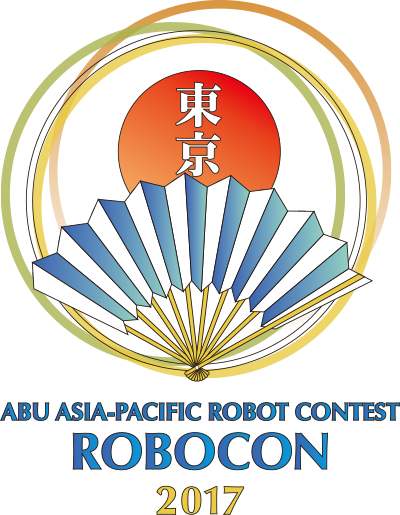 The contest committee will verify whether each participating robots complies with the rules through viewing the videos, prior to the shipment of the robots. 9.6. When using optical sensors teams must consider the fact that there will be very bright lights on the game field for video recording and broadcasting purposes. 9.7. Domestic winner teams should take into account the constraints of transporting batteries via airline services before sending robots for international event. 9.8. The allowable margin of error to the objects in this Rulebook wherever not mentioned is ± 5% both in weight and size. The contest is played according to the following format: Preliminary Rounds: Round robin within groups. Winner from each group shall advance to the Quarter-Final. Prizes shall include awards for the winners, runner-ups, best idea, best technology, and best design and ABU Robocon award, Sponsors’ awards.